The prevalence rate of autism in India is 1 in 250 (figure may vary as many cases are not diagnosed) and currently 10 million people are suffering in India. The government only recognized the disorder in 2001, till 1980s, there were reports that Autism didn’t exist in India. Persons with autism were until recently treated as mentally retarded by government in case of grant of concessions and benefits but not all the persons with autism are mentally retarded. Autism is a mental condition, present from early childhood, characterized by great difficulty in communicating and forming relationships with other people and in using language and abstract concepts. 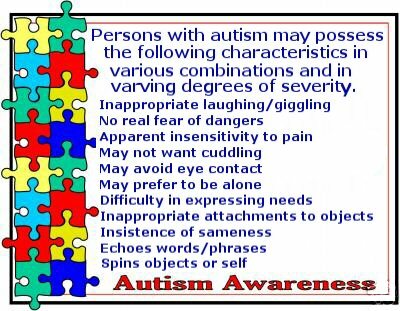 A child/person with autism who is very sensitive may be greatly troubled — sometimes even pained — by sounds, touches, smells, or sights that seem normal to others. Some children with autism are cognitively impaired to a degree. In contrast to more typical cognitive impairment, that is characterized by relatively even delays in all areas of development, children with autism show uneven skill development. They may have problems in certain areas, especially the ability to communicate and relate to others. 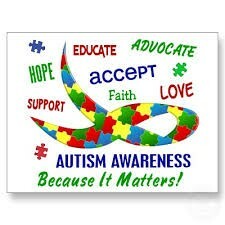 This year United Nations is observing 8th World Autism Awareness Day with the Theme: Employment: The Autism Advantage. As per the statistic available with UN, around 80% of people with Autism are unemployed. As per the researches done so far, the potential employers are missing out on the special abilities which the people with Autism have in abundance in comparison with the so called “Normal” people, like, heightened abilities in pattern recognition and logical reasoning, as well as a greater attention to detail. To help improve the quality of life of children and adults, who are affected by autism, so they can lead full and meaningful lives, The United Nations General Assembly unanimously declared 2nd April as World Autism Awareness Day. There are adults with Autism who work in full-time open employment charting their career paths while competing in the open market – or are self-employed – with no support. These include government policy advisers, authors, economists, heads of government and professors. But the numbers of these are small. Many more will be in partly-sheltered placements in offices, factories and shops where the jobs they hold in the community are tailored to their strengths, such as those increasingly available in the IT-sector, with some amount of support provided to the adults working there. These numbers too would be quite small. According to the report of the National Audit Office UK, only 15 per cent of people with Autism are in full time employment, despite the fact that many people with Autism have valuable skills to offer prospective employers, for example attention to detail, concentration and mathematical aptitude. In some other developed countries the number is around 6% only. In India as already stated, the number would be far less. Some firms, such as BT in the UK and Specialisterne in Denmark, SAP in India and Germany, and Orange in the US have pro-actively recruited people with Autism as part of their diversity policy, by creating an appropriate package of mentoring and reasonable adjustments to support these staff. For long it was believed that only those in sheltered work places require training in job-skills and work behaviours. As understanding grows of the complex social communication challenges that individuals with Autism face, it is now increasingly acknowledged that most individuals on the spectrum benefit with training in job-skills and work behaviours, in the soft skills of basic interpersonal relationships with co-workers such as learning to recognize their moods or emotions, learning the hidden rules of social behaviours, and understanding the importance of punctuality, privacy, and hygiene. This in particular enables many in open employment to retain their positions and have a more fulfilling work experience. However, training and support are needed not just for the individuals with ASD, but also for their employers and colleagues. Studies suggest that people with Autism find lack of understanding of Autism amongst employers a significant barrier to work. Sensitisation and on-site employer and staff training when a person with Autism starts work at an organisation, is a crucial step to building understanding of disability and providing opportunities. Movies are one of the best ways to bring home a sensitive message. Autism is not often touched upon in movies, and even when it is, it’s not explicitly mentioned. We dug up a list of movies that portray autism – some beautifully, and others horrendously. Autism would never have been identified as a major problem, thanks to a few movies which succeeded in presented it well before the masses! Seeing Priyanka Chopra in ‘Barfi’, Shahrukh Khan in ‘My name is Khan’ or Dustin Hoffman in Rain Man must have attracted the attention of millions towards this disease. But how many movies have done justice in driving home the message with sensitivity? Lets work together, create more vocational centres, create more employment opportunities and a Happy Employed World for the People with Autism!